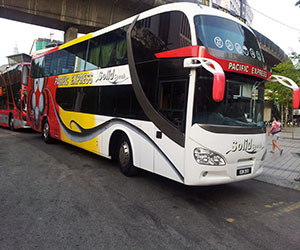 Pacific Express is a new bus operator operating in Singapore. The have 5 daily departure to Kuala Lumpur (TBS). 5001, Beach Road #01-20 Golden Mile Complex, Singapor e199588.